I was walking by the Magic Tree bookshop on the way back from the local yarn shop when I spied this book, The Lonely Doll in the window and it seemed so familiar that I went in to check it out. 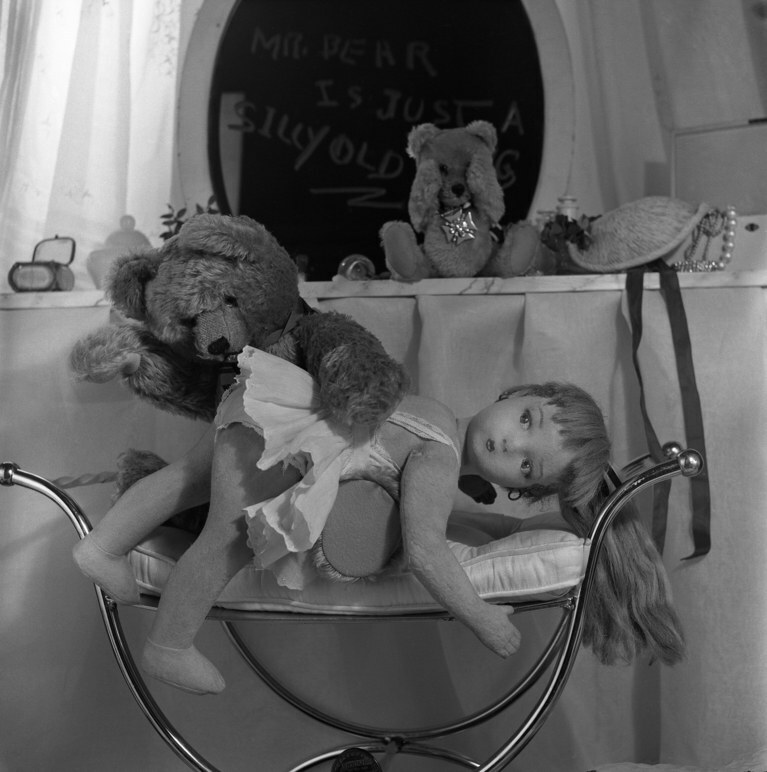 The black and white photographs of a cutie doll and bears were intriguing and I’m sure we had it when we were kids so I bought it. I got it home and read it and good grief!!! The lonely doll has no friends and creepy “Mr. Bear” shows up at her door to be her friend and then spanks her and little bear for playing dress up. Grumbles little bear “isn’t it just like a girl to cry because she gets spanked!” Then she’s afraid they’re going to abandon her but she apologizes and they promise to stay forever. The conflicting user reviews on amazon are interesting. Some remember it so fondly and others are freaked out by it. I’m somewhere in the middle. I think it’s just representative of it’s time. copyright 1957 says it all. A biography of the woman who wrote The Lonely Doll just came out, and I remembered your post right away! Her life sounds quite sensational and rather upsetting. There was an excellent episode about Dare Wright on This American Life a while back. Go to their website, click on archived shows and find the episode “Dolls” in the year 2000.